My grandmother painted this little Santa mug for me when I was two years old. I'm afraid to drink tea in it. I would hate for it to crack, so it remains a very special ornamental piece. But my red transferware teacup (inherited from the same grandmother) goes nicely with a Johnson Brothers Santa plate. Unfortunately, this tea wasn't my favorite. Cute box, though. I've always dreamed of writing a book some day. I have a half-finished novel gathering dust upstairs. But I recently did the next best thing! All of my blog posts, from November 2013, when I started blogging, until September 2014 (that was as big a book as I could fit in one volume), are all printed and bound in one beautiful volume. It is so much fun to look through all the pictures, and remember my first year of blogging. The terrible, truly awful, but very funny thing about my first published "book" is that my name is nowhere to be found on it. I am not kidding. I thought that my header with my name and my photo would be on the first page, but no. It is posts only. I'll have to remember this for Volume 2. I hope you all are taking time amidst the busy season to sit and have some tea, read a good book, and enjoy some beautiful Christmas music. I'll be having tea at Rose Chintz Cottage. Oh Deborah! How wonderful you have all your blog posts in one book. Write your name in longhand inside the cover. Deborah, how did you do that? Was it expensive? How I would LOVE to do that with my posts. Could you send me the address of the place that did it? THANKS. I must warn you, they say this is simple. I got so frustrated over a period of a month I almost didn't do it; I finally talked to someone on the phone and he walked me through it. If you decide to do it, contact me (email in above right corner), and I'll give you some suggestions. It would have been easy had I known a few simple things. I love the painted and signed Santa mug, Deborah! What a treasure that is. Your red transferware teacup looks beautiful with the Christmas plate. That's too bad about not liking the tea. It sounds good to me, too. Your book looks wonderful and what a great idea! I would love to do that someday. How sweet to have tea cups and a coffee mug from your grandmother! The book of blog posts is a neat idea! Love your mug! How precious that is! And your book is wonderful! Just sign it in bold!!!! Such special and pretty dishes and Santa mug. Many years ago I had a recipe for chocolate banana bread that was so delicious! I've been blogging since 2008 and my brother has been generous enough to have several blog books printed for me. So happy that you have this blog book now. Your photos are simply gorgeous. Hope the week ahead is great. 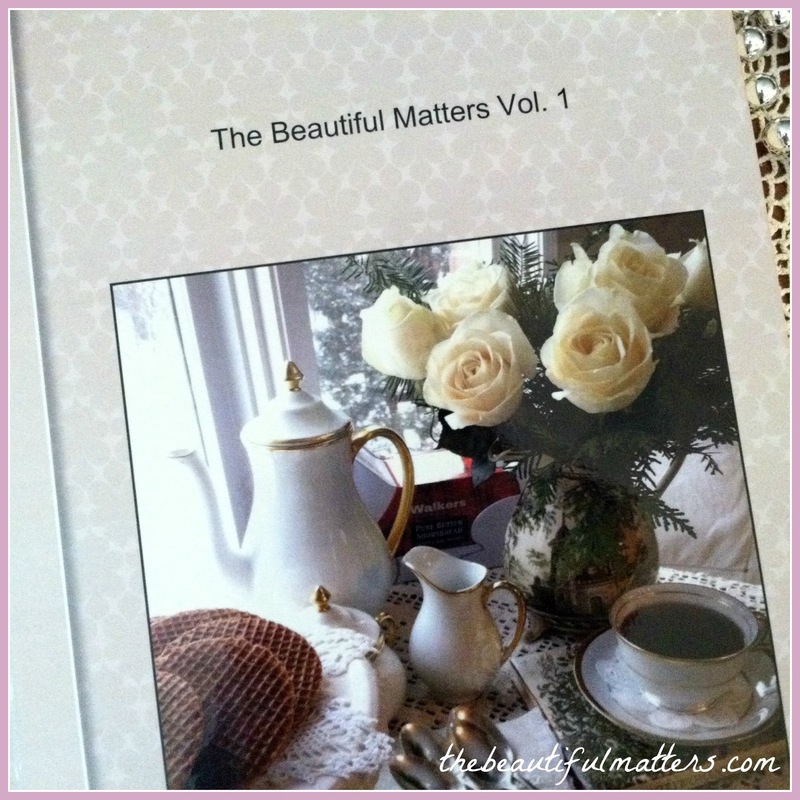 What a wonderful idea, a book of your blog posts there for prosperity. Beautiful mug bringing back some wonderful memories for you. 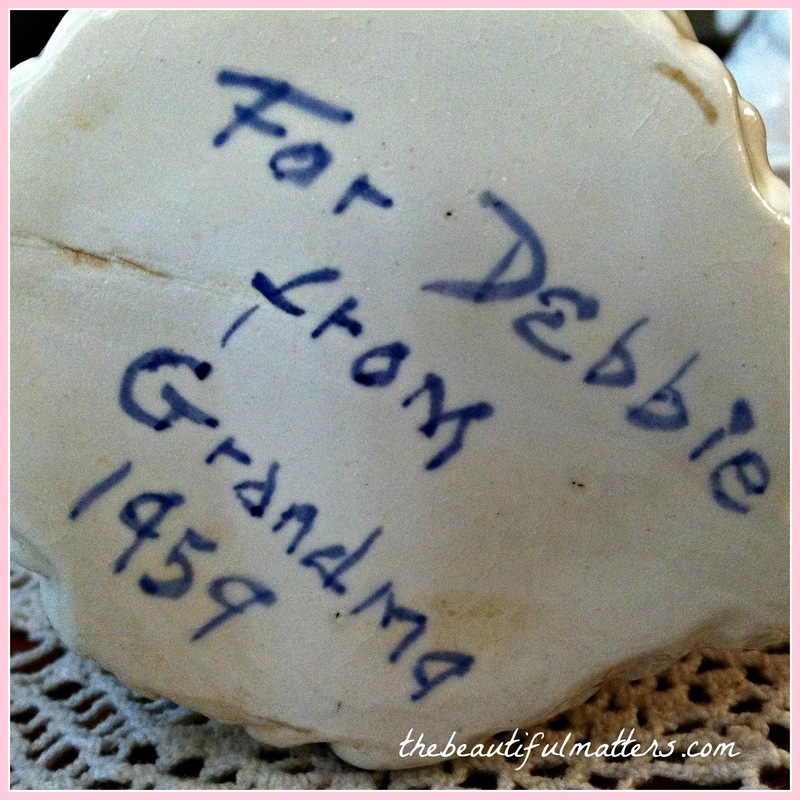 It is nice to have treasures to remember our grandparents by, especially at the holidays. What a fantastic idea to create a book from your blog! It is a beautiful display of all of your hard work and creativity. 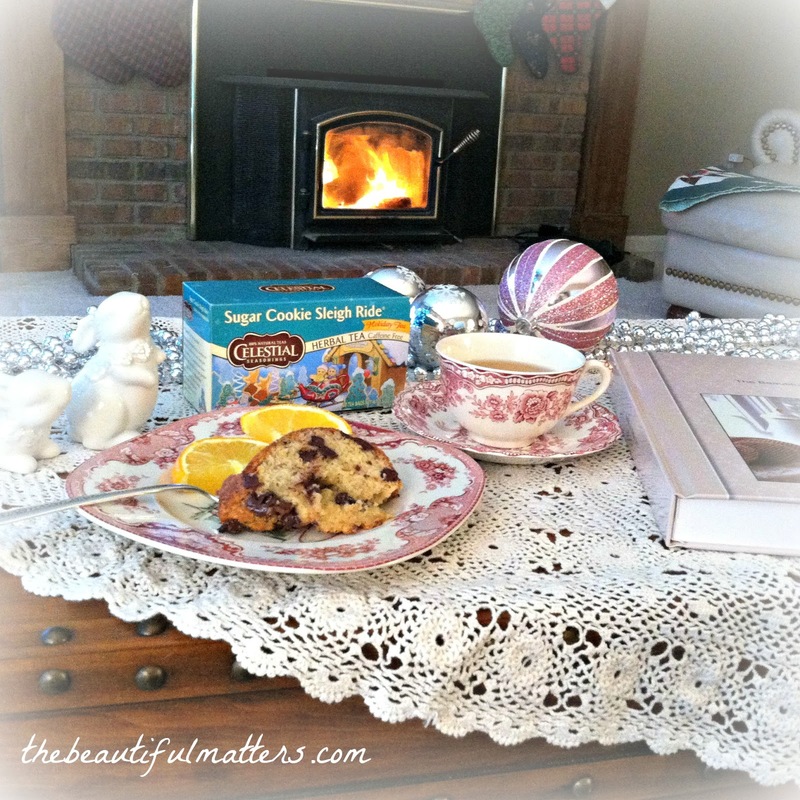 Your mug and dishes are wonderful for the holidays. The Santa mug from your grandmother is a treasure. Wise woman to hace signed it. Aren't you also wise to have your posts bound. It may be a splurge, but think of all the time that is put into our posts. Hi Deborah, I just love your sweet Santa mug made by your grandmother. Such a special treasure. Love the Christmas red transferware plate and your teacup are gorgeous. I love your book and had read about this but have not tried to do it yet. I would love to do one with a few special written story posts. Expensive but something to treasure for all times. Love the book color you chose. I will have to ask you some questions after the holidays and things slow down a bit. Hello my friend, what treasures from your grandmother! Of course, I am loving the red transferware. What fun to compile a book of your first year of blogging. I have always dreamed of writing a book myself someday but for now, blogging will have to do. The bunnies are adorable! Thank you for joining me for tea and also for your prayers for my son and uncle. It has made all the difference. Merry Christmas! How precious to have that mug from your dear grandmother. I see she wrote "Debbie" on the bottom, is that just how she spelt your name? I ask that because my proper name is Debra, though my grandmother always spelt it Debby, and I go by Debbie. Wow, that was a mouth full. Your book is quite beautiful. I would love to look into that, and very well may. To have a treasure like that would be worth the money spent. Have a beautiful day, Deborah. your Grandma gave you a very special gift! It's a great idea to have your posts published! 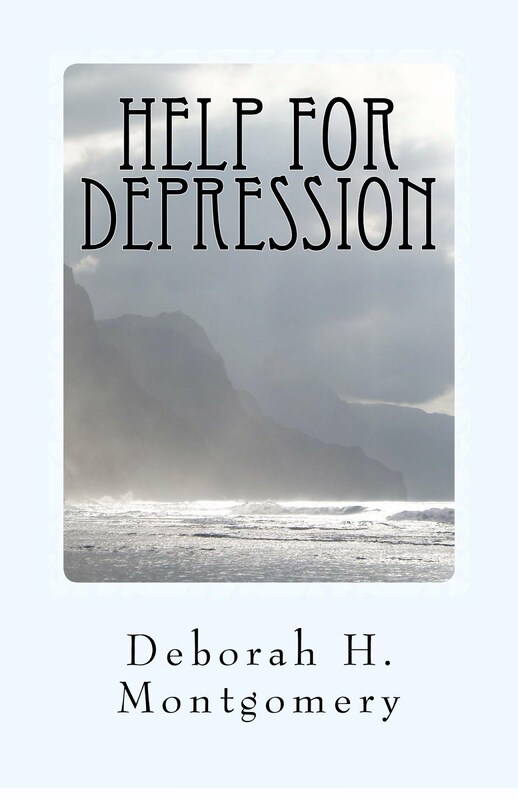 Love your book, Deborah! I know quite a few bloggers have done that; I never have. I think, though, it is a living heritage and in addition, if something bad like losing one's blog happened, the books would be there. I will seriously consider doing this - however, I have a few probably silly/inconsequential little posts I'd probably delete first. 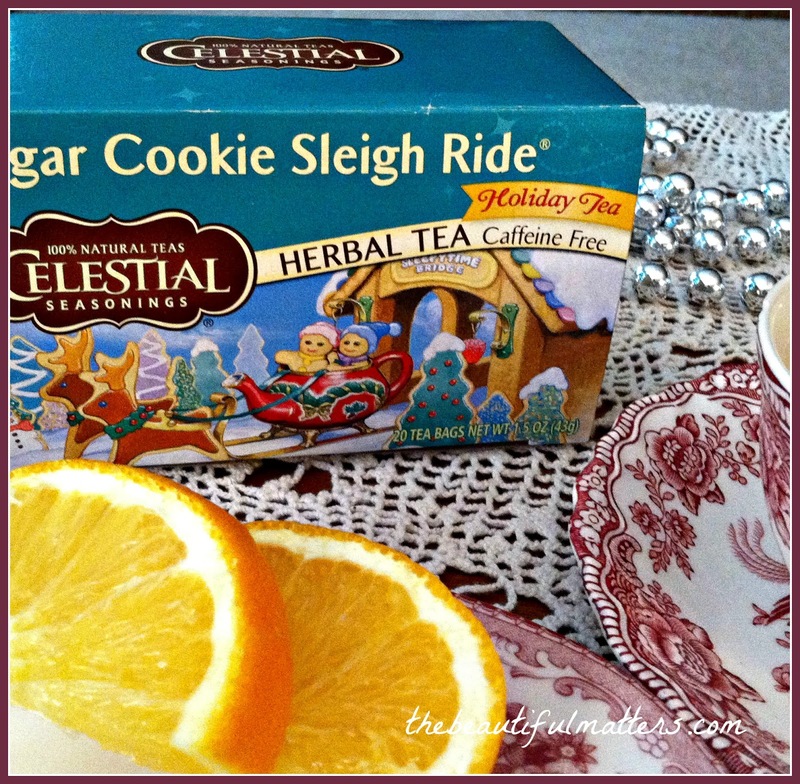 Love your Santa cup and you are wise not to drink hot tea from it! The red transferware cup and plate are beautiful. Merry Christmas! Hi Deborah, I love your Santa mug, how special. Your blog book is such a great idea! 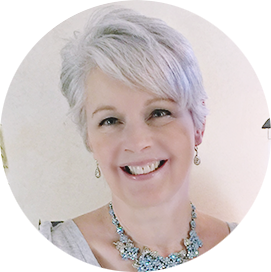 I am a little embarrassed at how I first started my blog! I had no idea what I was doing! LOL! This will be great for yiur kids to look at too. Wishing you a nice afternoon and week. The Santa mug is a sweet treasure from your grandmother. There are a few places that publish books from your blog and I think you've created a very nice keepsake. Deborah, Your first Santa cup is so sweet and precious. And that plate is gorgeous. And how wonderful to have your first book of your blogging posts. I've been working away on that too. How lovely to see your work in a book format. It's lovely! Rats...too bad that your name isn't on it! Sure enjoyed my visit, dear friend! It is in a way sad that your name is NOT in the book, guess you could have requested that for the cover or back. But that is a learning lesson for next time around. What a special cup you have from your Grandma; that way she will be with you even more closely. Sending you many blessings for this 2nd Advent week. Wow, you take such pretty pictures, Deborah! Your santa mug is wonderful and a terrific memento, especially how she dated it and wrote on the bottom. The Santa plate is great too. What a good idea to print a book of your posts--it looks like it turned out great! . P.S. I absolutely LOVE your Santa mug and the sweet sentimentality of your memories today. Hello Debroah, it is lovely to visit you and read your post full of love and memory. The cup your grandmother painted for you is totally priceless! Wow! The Christmas china too is wonderful. I LOVE that you put your first year of blogging into a book; what a special and smart idea, my friend. Also, the mug painted by your dear grandmother is just precious! What a blessing to have that - I am sure there are many memories flowing from it while you use it. . . Enjoy your week! Hugs to you! How special to that that sweet cup from your grandmother. And the book..... amazing. I thought about doing that once but for some reason (maybe cost...LOL) I didn't do it. I know you will always enjoy looking through it. 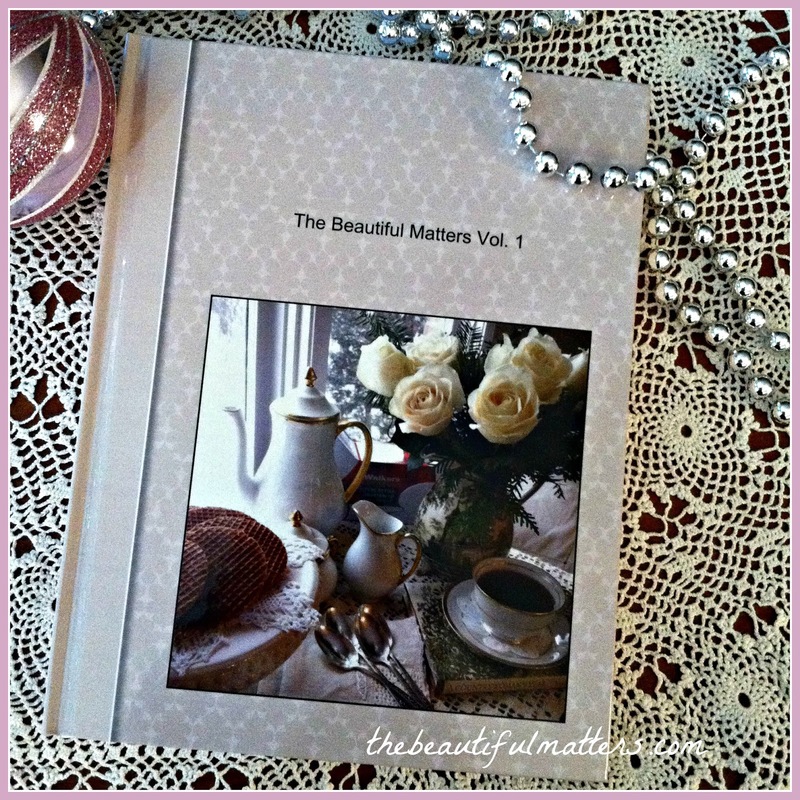 How wonderful to have your own blog book! It's just beautiful! I have a Santa mug from childhood that I treat a carefully as you do yours, but mine was just a gift. What a wonderful memento to have made my your own grandmother! You have some lovely festive china to go with it. What a happy time of year! WOW! What a wonderful idea - that book. I bet it was very expensive to do? Love your precious Santa mug - 1959: year of my birth and the year my beloved piano was made. Good vintages, heh. Love your red trasnferware - esp with the Santa, never seen that before. What a darling mug...such a special keepsake! 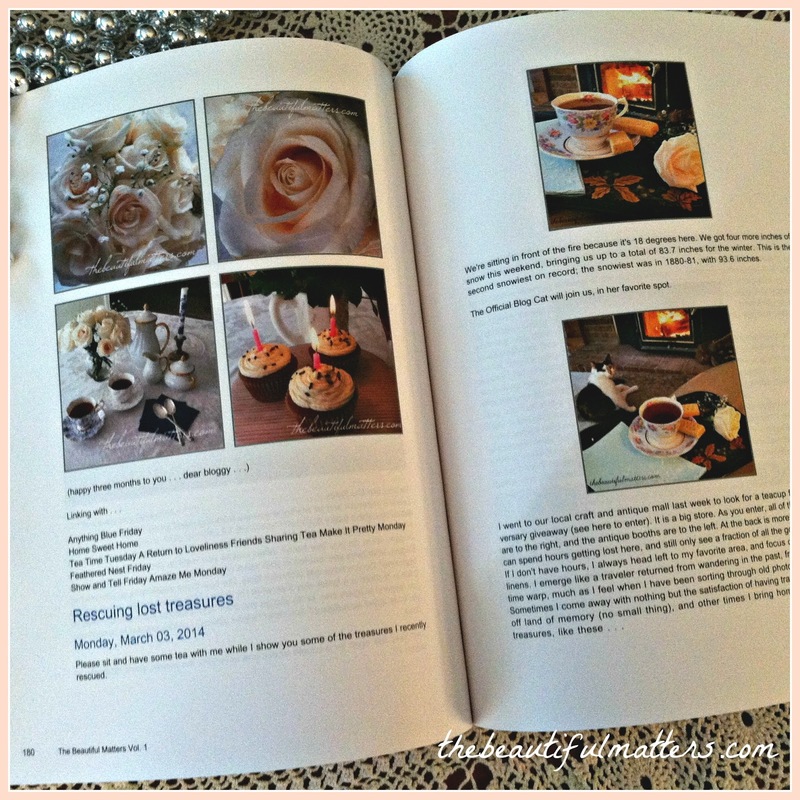 I have thought about printing out my blog but never thought of putting it in book form...I love the idea! Who did you get to print it and bind it for you? It's just gorgeous...such a great idea! Good to know about the blog to book. It doesn't sound that expensive when you consider the time and thought that goes into your blog posts. Lovely that you have such a sweet reminder of your grandmother. Thank you for your visits. Angels to you! 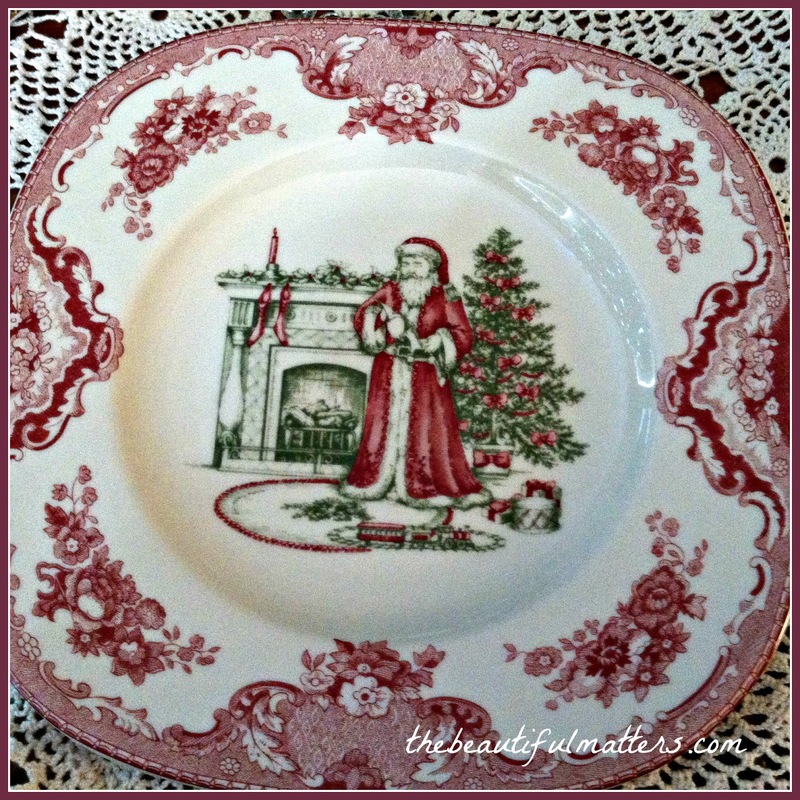 I especially love the red transfer ware plate with Santa in front of the fireplace . I was thinking to myself maybe I should try out one of the teas I keep seeing in other tea type blogs when you gave your comment about the taste. I have a lot of cute boxes I can put my favorite black and mint teas in. thank-you for the critique, really ! I have had my blog published for myself every year and am so thankful for this company's quick work. I have noticed when my grandchildren come to visit the blog books are always pulled down from the shelf and read, and why not, my posts are a compilation of our years together, their family history too ! You will be so happy to have published your blog, and so will your family. So you're published !!!! The important people in your life know who wrote this. I think I used to have a Santa mug like that too, Deborah! The dishes are so pretty. I'm wondering where you got the book done. It looks gorgeous, of course. I've thought about doing that, but it looks like it might be a daunting task. It must be so much fun to have your blog in the 'hard copy.' There's got to be a way that you can still put your name on it. Beautiful! I love that gorgeous Santa mug Deborah. How precious to have such a gift. I love your book. It is beautiful. I have been working on one too but it is still in the works. I did finish a calendar using my blog photos and I love it. Thanks for being such a sweet friend. Wishing you a merry and blessed Christmas. Hello Deborah! 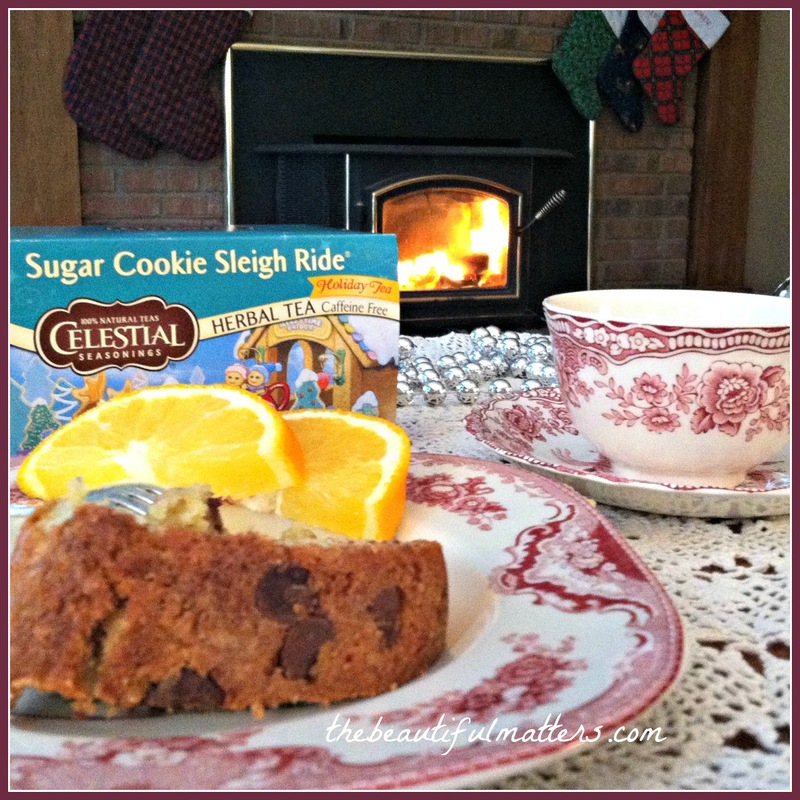 Your Santa mug is very sweet but I have to say I am totally loving that Santa plate! Gorgeous! 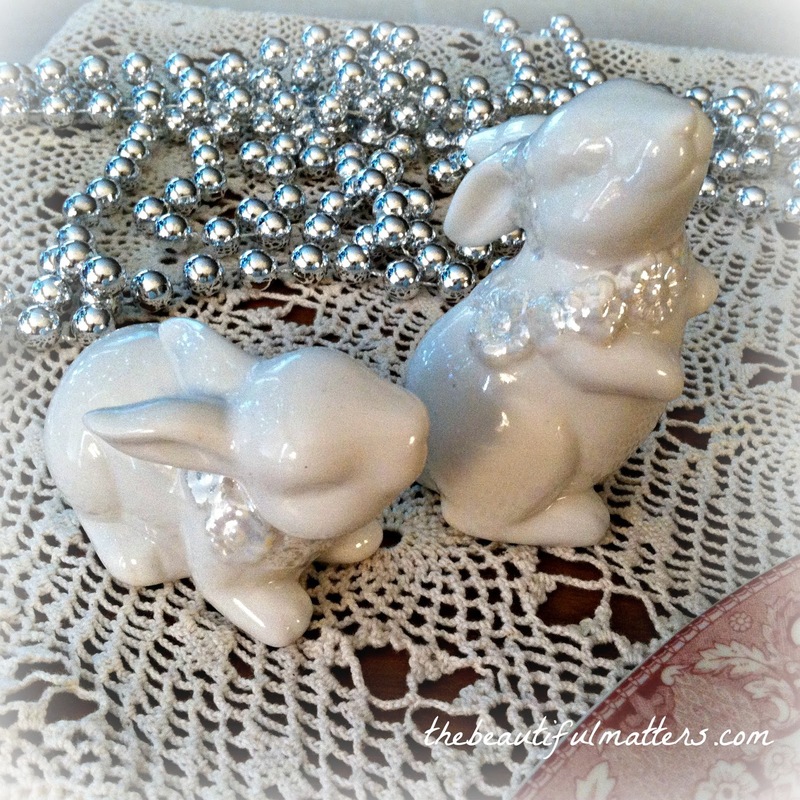 Thank you so much for visiting my Christmas in the Parlor post and for letting me know you stopped by, I really appreciate it! Deborah the Santa mug is just precious! I love red transferrer. 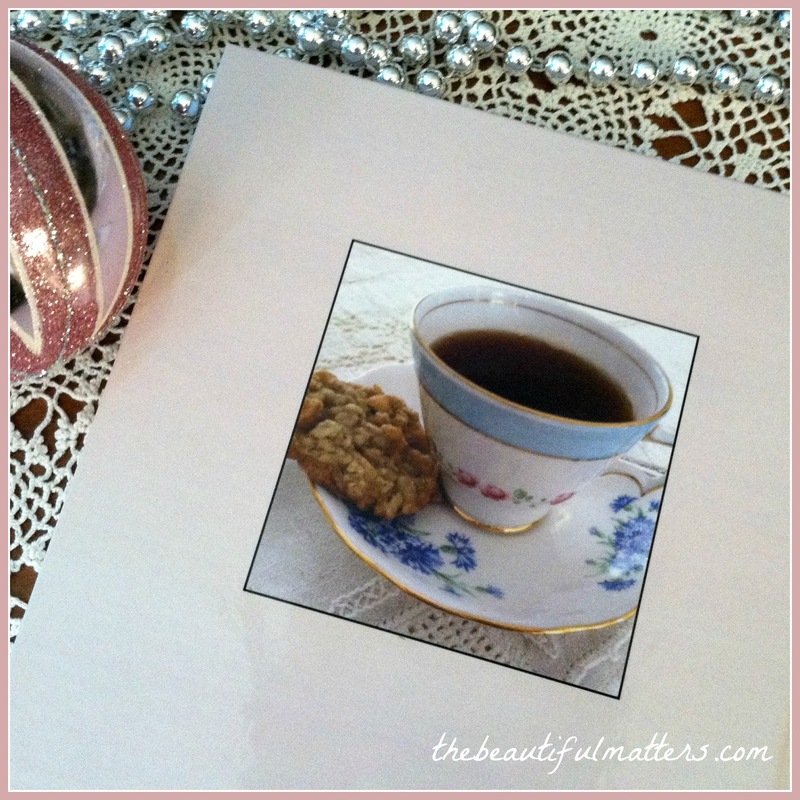 The teacup from your grandmother is another wonderful heirloom. Love, love the Santa plate also. I have heard of people printing their blog. I bet it is so fun to look at. Might need to think about doing that. Have a happy holiday! I love your book Deborah! What a great idea! Have a very Merry Christmas! Congratulations on the book...I've done that and it's been a huge blessing since Dave died. Love Johnson Bro and yours is especially beautiful. I remember the little mug..might have had one but can't really remember, sorry to admit. Again, your blog book is beautiful...you'll never regret that decision. Oh Deborah, what a beautiful post. That Christmas mug, from your GRANDMOTHER! Oh that is precious. And I've had this tea before...yummmmm with milk! I have been thinking about putting my blog posts into book form for years. Trouble is, I've used so many Pinterest photos, I could not get away with it. However, I am seriously thinking about taking my better blog posts, converting them into poems (I've done this with a few)and using my how photos. It sure would be fun. Thank you kindly for coming to visit me last night. Yes, change is inevitable, and change is GOOD. I hope good things transpire for all of us, and while they do, that we would hold on to that which never changes: LOVE. Oh sweet friend, this is wonderful and gorgeous! What a way to start the year than by making a book with your lovely posts. This will inspire you to write the book you want, you'll see! I always wanted to do this since I saw Christine had made one with her fave posts. You have inspired me to start myself and maybe I'll make copies and sell them, lol! Hope your 2015 has started in the right track, I think it has. 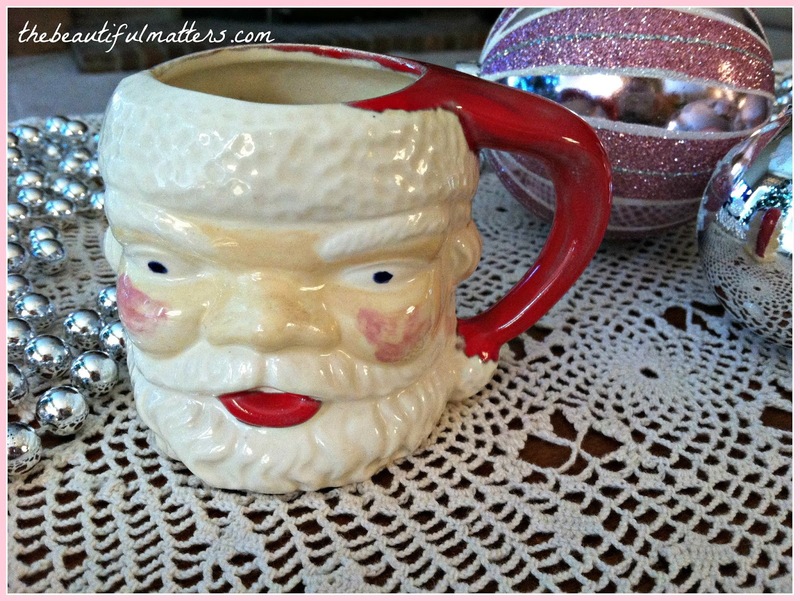 What a treasure your Santa mug by your dear granny is...amazing you still have it and decorated by her own hands! Deborah, when I saw your chocolate chip banana bread I smiled because my daughter's boyfriend makes that for us every Christmas. Thank you for your comment on my "lovely" post. You have such a wonderful blog with so many great ideas. I have thought about making our blog into a book also, but not sure how to do it? The Santa mug that your Grandmother gave you is a treasure, and even more so that she painted it. And your red transferware is so pretty. I hope the new year is being good to you. And I'm so glad to have found your blog because I can see that you see the beauty in simple things too, and your blog name says it all. my family has asked me to do the book, too. i think i'll do it now and thanks for the inspiration. one thing...when i first started blogging, my photos were bad and all small...not sure about those. Thank you so much for always visiting my blog and letting me know how much you enjoy it, I really appreciate it.